Connect with Real Mr Housewife! Housewife aficionado. Theater Lover. Music Enthusiast. Lifestyle Extraordinaire. Kelly Ripa Forced To Return To Live Tuesday? Teresa Says ‘I’m Sorry’ In Prison- But For What? 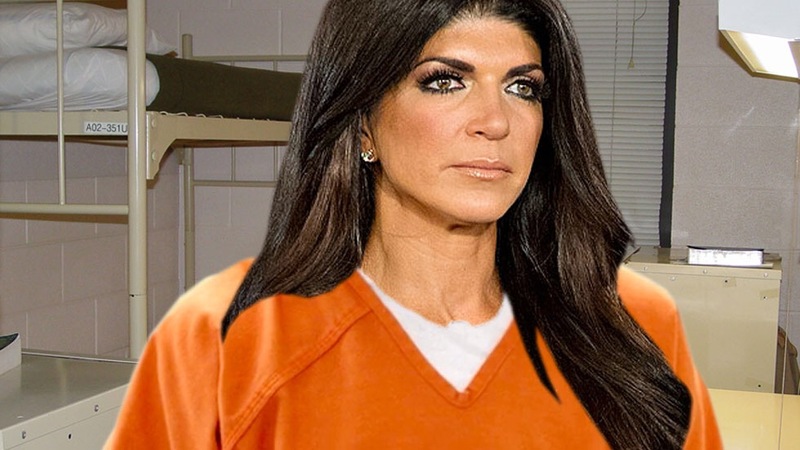 While it’s been a few weeks since Teresa Giudice surrendered to prison, it seems the 42-year-old star of The Real Housewives of New Jersey has been keeping busy while there. Notably, she’s been working out and missing her girls and allegedly detoxing from prescription pills. RadarOnline.com recently has reported that Giudice has also been constantly apologizing while in jail. Is she apologizing for what she did or something else? This definitely makes sense, as the prison has to be careful pictures of Giudice don’t leak. It’s nice to hear how Giudice is reacting in prison, as it sounds like the experience is humbling her. We can’t wait to see her back on the outside and are sure her family, who visited her this past weekend, is missing her terribly as well. Exclusive: Jacqueline Laurita Writing Tell All Book!